All my life I have been involved in the teaching and performance of music. I have taught choral music and jazz for 39 years, and I have performed professionally in many different musical genres for over 40. Heck, I even performed in Mohegan Sun’s Wolf Den, Foxwoods’ Atrium Lounge, and Twin River’s Lighthouse Bar & Lounge. A different interest emerged 15 years ago. I enjoy learning about and watching the business, the history, and the expansion of legalized gambling all over the U.S. The myths, legends, and innovations of legalized gambling are an ongoing drama and allow us to look into the best and worst of human nature and human interaction. This blog is the passion behind that interest. 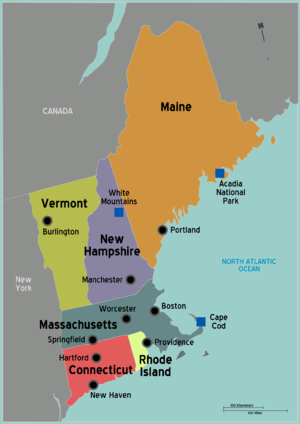 My goal with this blog is to provide a service and resource for anyone visiting New England’s expanding casino market, whether it be for my fellow New Englanders or the our welcome visitors. It includes news, promotions, strategies, and personal opinions with some rants, humor, and sarcasm here and there. One thing to note that is very important – my biggest pet peeve is how gamblers refuse to look at the math & science involved in gambling. Myths and superstitions can be fun, humorous and sad all at one time. Remember, prepare yourself with facts and your recreational gambling will last longer without the blaming of the casino. Know what your getting into – acceptance is the key to all your gambling woes. Thanks for your kind replies and the offer. I’d love to post something for TravelZork. Our email is aubin330rta@gmail.com. Let me know the topic and I’ll send it. Thanks again. Hi, could not find your email, but would LOVE a guest post about your blog on TravelZork. Perhaps, reach out to me via email. Have a great day! Thanks for the review of our new Bob Nersesian book. I’m writing from Huntington Press and wonder if you’d like to be added to our mailing list for updates and info about The Law for Gamblers and other HP publications? (We have a LOT of new titles in the pipeline!) If so, just email me how to reach you via Jessica ATHuntingtonpressDOTcom. And thanks again!